Genetic Engineering is controversial because we don’t know what might happen if something goes wrong. Messing with nature’s building blocks can be dangerous but possibly very advantageous. 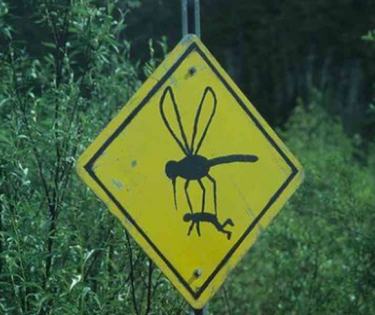 That’s what authorities in the Florida Keys were thinking when they came up with the plan to release large amounts of genetically engineered mosquitoes in an effort to fight dengue fever. The plan is the modify the male mosquitoes to be sterile, then release them in large numbers so that the females mate with them but do not reproduce. The engineered mosquitoes then die off because their generic modification kills them if they don’t ingest a certain chemical not found in nature. This could result in a 80% reduction of the mosquito population and a corresponding reduction of the dengue fever that is transmitted by the mosquitoes. There’s just one problem – some of the mosquitoes are successfully mating and passing unpredictable genetic mutation on to the offspring. The first tests of these genetically engineered mosquitoes produced by the British corporation Oxitec occurred in the Cayman Islands. In tropical regions, dengue fever can affect 50 to 100 Million people annually and there are no drugs or vaccines to treat it. This technique of releasing large amounts of infertile males is used successfully to combat the Mediterranean fruit fly. The problem with mosquitoes is that the technique to sterilize them makes them weak and unfit for reproduction. Only with genetic engineering can this technique be productive. Oxitec claims that this technique is perfectly safe and we have nothing to worry about. This is exactly what was said in the beginning of the move Jurassic Park which used a very similar technique to make sure that none of the animals were able to breed. A major worry is that the genetically engineered DNA could survive and be transferred into other insects that are beneficial to the environment. This plan to release the modified mosquitoes into the Florida natural environment is due to take place next month in December. Hopefully, this will prevent a deadly fever from ravaging the United States. 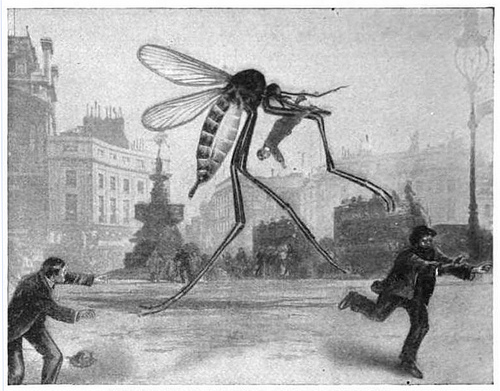 If it doesn’t work and you see giant mosquitoes attacking your neighbors or suddenly all the butterflies fall out of the sky, at least you’ll know why.